Associated Anesthesiologists, P.C. » Bejot, Terry W., M.D. Home / Bejot, Terry W., M.D. / Employees / Anesthesiologists / Bejot, Terry W., M.D. Terry W. Bejot, M.D. is a native of Ainsworth, Nebraska. In 1980, Dr. Bejot completed his pre-medical undergraduate education at the University of Nebraska with a BA in Biology. Dr. Bejot completed medical school at the University of Nebraska Medical Center in 1984. Dr. Bejot completed an internship at Baylor College of Medicine in 1985 and he completed an anesthesia residency at Baylor College of Medicine in 1987. He completed two Fellowships in Anesthesiology; Obstetrics in 1987 and Cardiology in 1988, both at Baylor College of Medicine. Dr. Bejot is Board Certified by the American Board of Anesthesiology and has been with Associated Anesthesiologists, P.C. since July, 1988. Dr. Bejot is married and has two daughters. His personal interests include sports, travel, technology, hiking in the Black Hills, as well as spending time with his family. 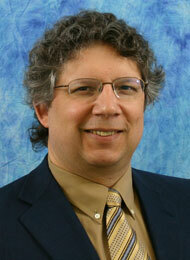 Dr. Bejot is also CTO of JLS Interactive LLC, a medical education website company.